New decorative blocks for your constructions in Minecraft. More Materials 1.11 and 1.10.2 is a mod that adds new materials and blocks to improve our methods of decoration in our worlds. In most cases are variations of decorative deafult blocks on game, with subtle differences, shades or roughly colorful details. There are variations for blocks of wood, marble, stone, earth, and for blocks of quartz, among others. Although new blocks are included with a completely different look, without any connection to the deafult ones. How to install More Materials Mod for Minecraft 1.11 and 1.10.2? 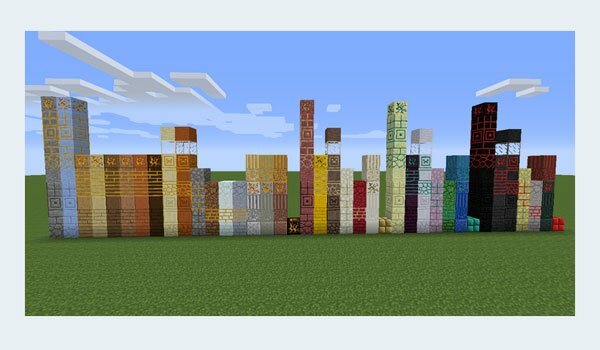 A nice assortment of new decorative blocks for Minecraft!